Industrial food is (except for only a few brands) extruded. That means, the ingredients will be ultra heat treated and compressed. Because of the heat, most of the nutrients die and they have to be added again in artificial form. Because the acceptance is mostly rather poor, the factory made hunks are sprayed with artificial vitamines and flavour enhancer. These substances can provoke allergies and hereby force illness. 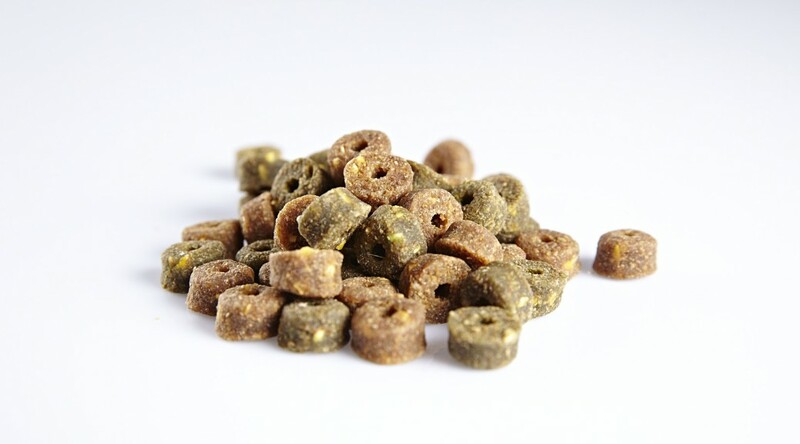 The nutritional information of compound feeds can hide more than you think. Often there´s written about animal byproducts. These byproducts are deposits and can contain dirt, urine and other waste-products. Furthermore the extrudate are flatulent, means that the food swells up in the stomach after the drinking and can therefore cause a stomach flip or stomach torsion . The cat can´t digest vegetables, grain and fruits. A dog can digest carbohydrates partially, but nevertheless his food should contain max. 10% carbohydrates. E.g. „animal byproduct“ means nothing but beaks, hoofs, dung, blood, fur, feathers – thus waste of the slaughtering. With it come vegetable byproducts which are in turn waste of the meal production. This gives you only a small glimpse at the contains of convenience food.